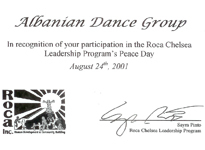 formed ethnic community for communal and self-expression. 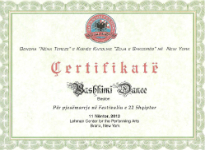 bringing Albanian young dancers together. 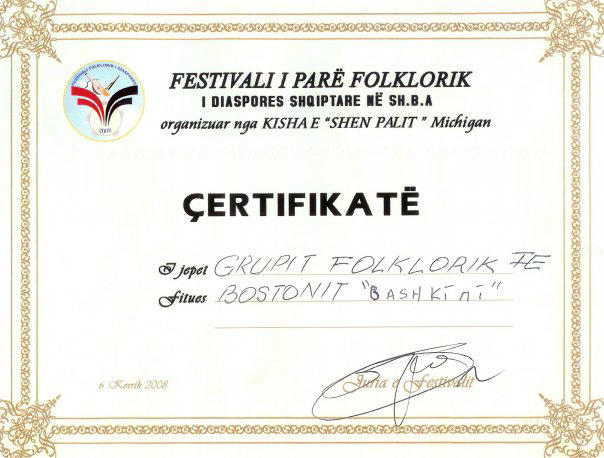 group constantly welcomes American born dancers as well, who show love and appreciation for the Albanian folkloric art, and have the spark of talent to fly hand in hand with their fellow dancers. 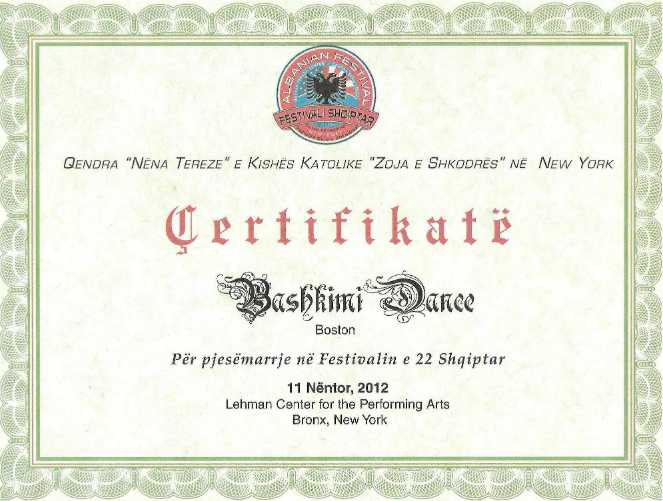 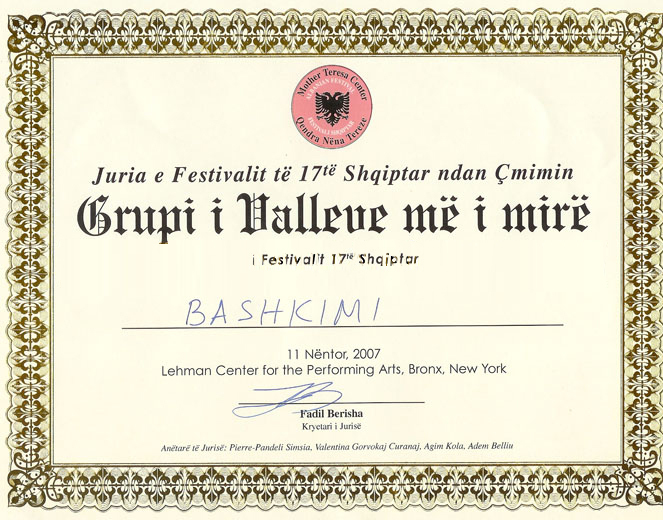 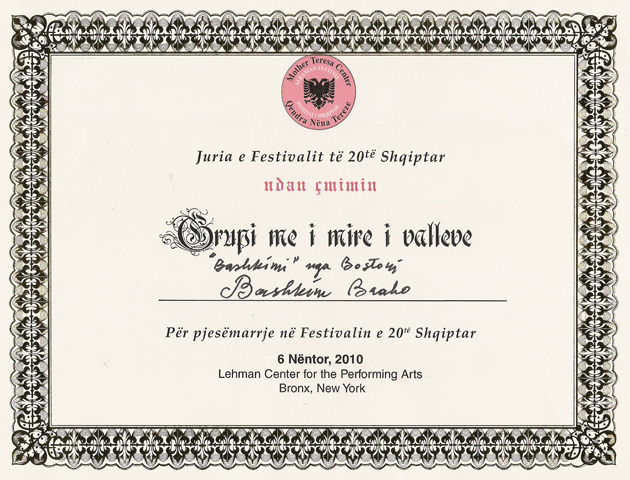 Bashkimi Dance is dedicated to keeping alive the tradition of Albanian dance and music in the heart of the Albanian communities in Massachusetts and across the United States. 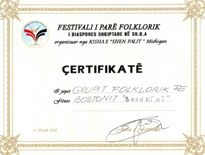 To do this, we constantly work on enriching our repertoire from the abundant source of Albanian folk culture, a wellspring of great variety of folk dances. 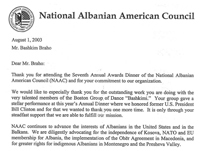 In 2010 Bashkimi Dance joined with the Massachusetts Albanian American Society "Besa" (MAASBESA), so together we can serve the Albanian community of Greater Boston area better. 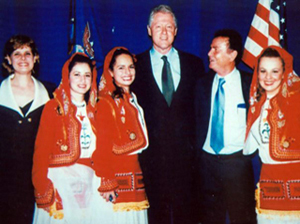 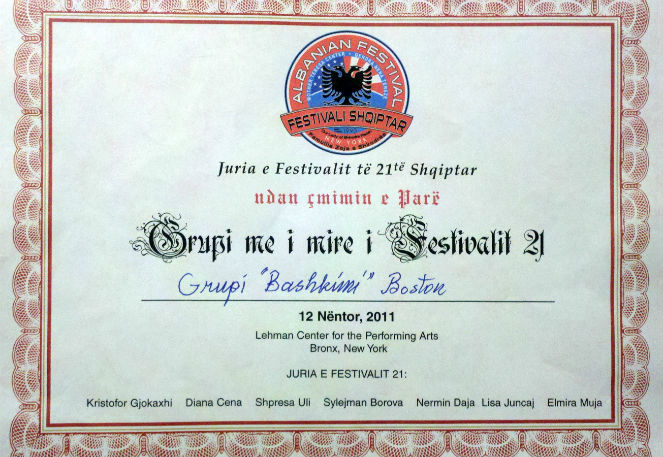 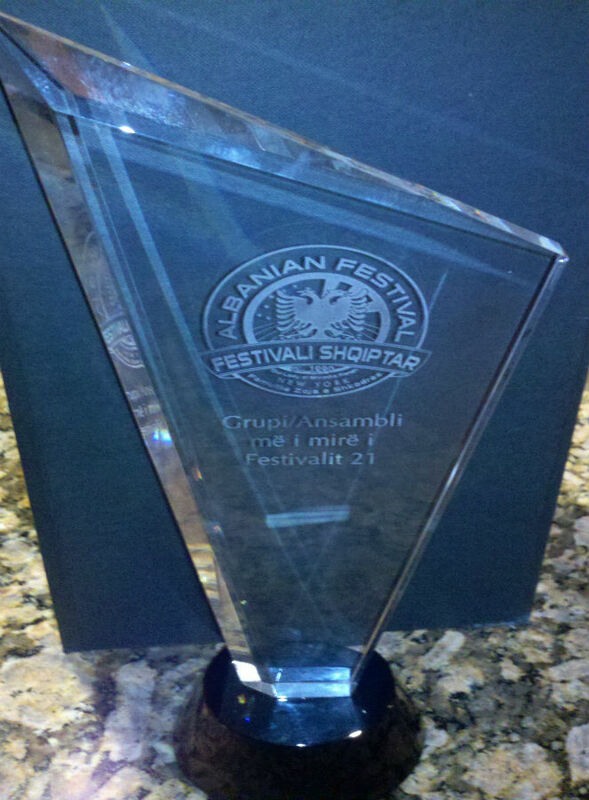 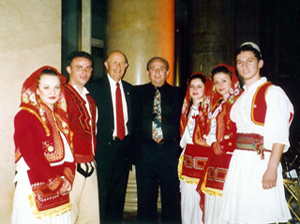 One of our early goals was accomplished in 2010, where for the first time in Massachusetts, the first Albanian Folk Festival was organized with dance groups and various Albanian folk performers from Boston, New York and Detroit. 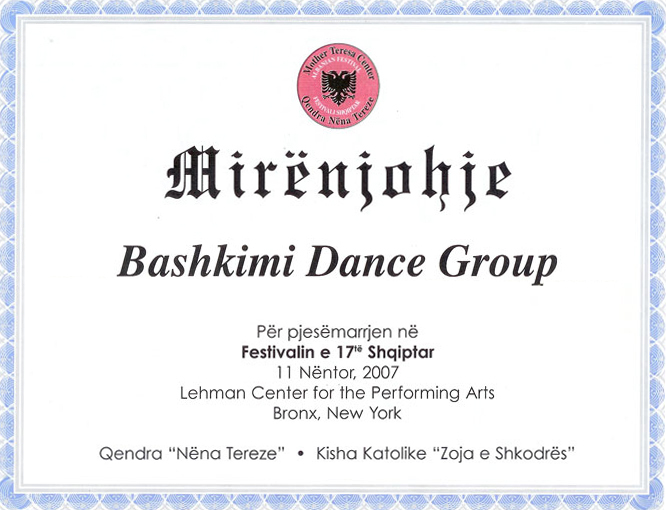 In addition this merging gave birth to the Albanian folk dance class for young children under the direction of Bashkimi Dance choreographer Bashkim Braho. 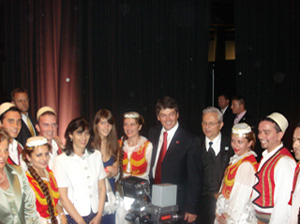 Expect nothing but the best in the future from this cooperation. 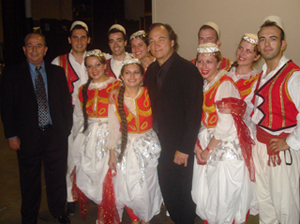 You have done something wonderful. 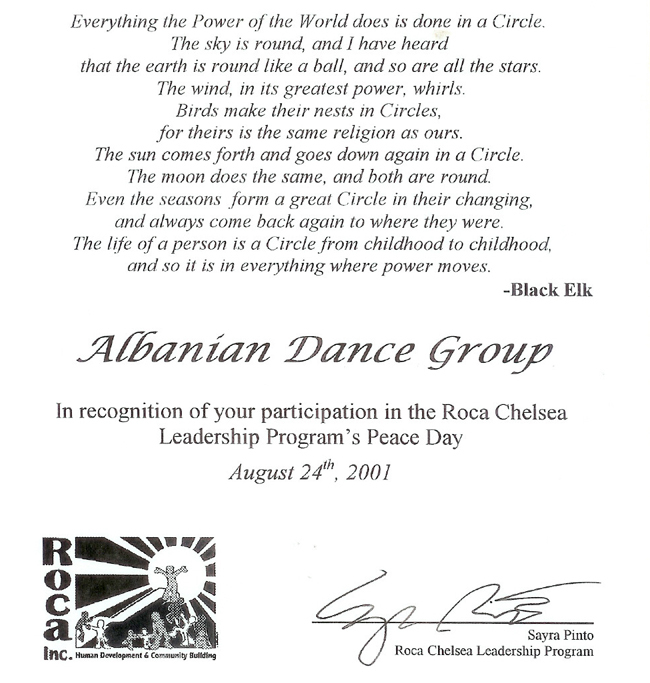 Tonight you filled everyone with joy. 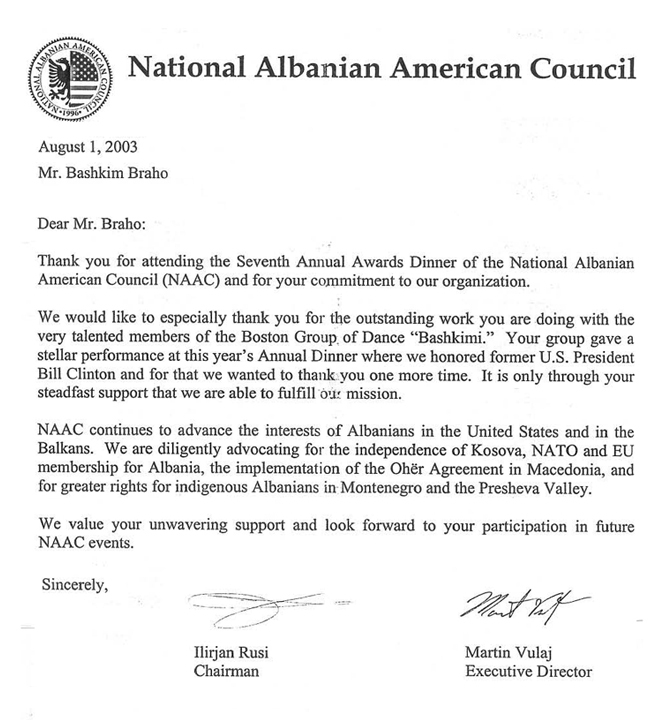 I was very touched by the Mother Albania dance.